Clear skies hung over Circuit of the Americas for today’s inaugural INDYCAR Classic. The race ran drama-free until a single caution was brought out on Lap 44. 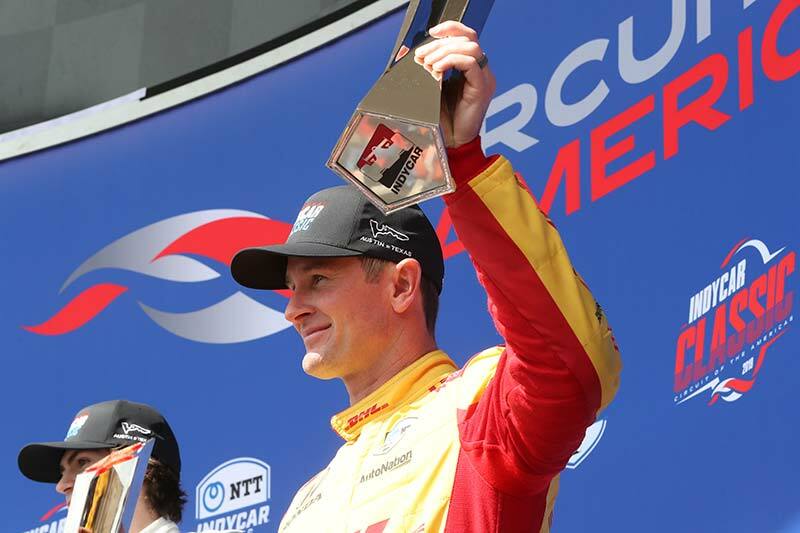 Benefitting two drivers and challenging one, the caution allowed Ryan Hunter-Reay – who had just pitted on Lap 43 – and Marco Andretti – who pitted on Lap 43 – to gain track position while it pushed Alexander Rossi, who had been running in second position before the yellow flag, back to 14th after racing for a chance to win the 60-lap race.